Jennifer L. Zielinski-Lewis, 42, of Toledo lost her brave battle with cancer on Sunday, October 14, 2018 at Hospice of Northwest Ohio. Jennifer was born on December 18, 1975 to Frank W. and Geraldine A. (Ziegelhofer) Zielinski. After attending Hawkins Elementary and Rogers High School, Jennifer graduated with an Associates Degree from Owen’s with a degree in Massage Therapy. She worked at Wildwood Athletic Club as the Massage Therapist. A loving and giving person, she gave her time by participating in Ovarian Cancer Walks. Left behind to cherish her memory are her daughters whom she adored; Morgan Lewis, Megan Lewis, Amanda Lewis; brothers and sisters, Frank (Maria) Zielinski, Mike Zielinski, Gerrianne (Jeff) Sharp, David (Itzenith) Zielinski, Steve (Denise) Zielinski, Jim (Debbie) Zielinski, Tim (Kue-yun) Zielinski, Greg (Sharon) Zielinski, Brian Zielinski, and Brad (Silvia) Zielinski; also surviving are many nieces and nephews. Jennifer was preceded in death by her parents. The family will welcome guests on Friday, October 19, 2018 from 1 – 3:30 p.m. at the Bersticker-Scott Funeral Home, 3453 Heatherdowns Blvd. at Byrne Rd. where a service will be conducted at 3:30 p.m. by Fr. Dave Nuss from Little Flower Parish. Please view and sign Jennifer’s condolence page at: www.berstickerscottfuneralhome.com. 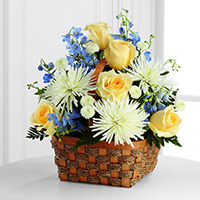 To send flowers to the family of Jennifer L. Lewis (Zielinski), please visit our Heartfelt Sympathies Store. We encourage you to share any memorable photos or stories about Jennifer. All tributes placed on and purchased through this memorial website will remain on in perpetuity for future generations. My Condolences to the entire family of Jennifer.God Bless You All. You gave me 3 of the greatest children anyone could ever ask for. I will be here for them.... always and forever. Hello, my name is Chavonna from Wildwood the Valet. I just want to say I’m sorry for your lost and my heart goes out to the family.. We talked and prayed. God came and got her as I know she was tired. God will never put no more on you then you can bare. All though this is a hard time. God stay close to the broken hearted. Just remember there’s no more suffering. Love you much Jenny. Stay blessed family. In loving memory of a beautiful, courageous and caring friend whom I will dearly miss.